Those Soweto residents must be plunged into darkness until they pay like the rest of us. Eskom needs to switch off electricity in Soweto and all those use it for free and do not pay, until they start a society to pay their bills. Most townships. In Atteridgeville people signed “poorest of poor” forms in the 90’s and got free electricity. Most of them no longer fit that category but they still take advantage of the system. Zithobeni in bronkhorstspruit same story. Most informal “settlements” and how many are immigrants? Municipalities, Soweto now owe Eskom over R34bn – Cassim – and what about others? Many would like to see the power utility cut off the area’s power completely until their debt is settled. 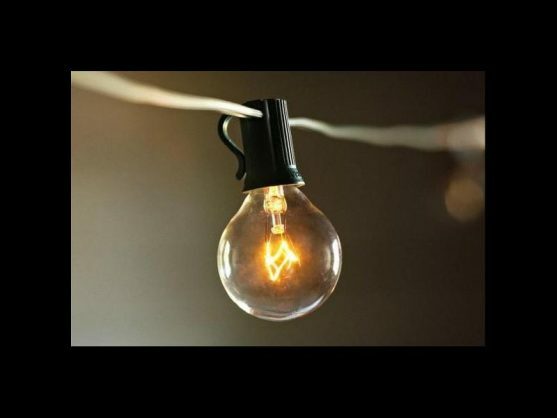 Residents of Soweto have had to defend their honour on social media all day after stage two load shedding was announced and later upgraded to stage four. Earlier today, Eskom announced that the rotational load shedding it first notified South Africans of yesterday, and which they said this morning would take place from 9am until 10pm, has now moved from Stage 2 to Stage 4. This means 4,000MW will be shed, double what was initially expected. The power utility says in a statement the reason behind this is that they have lost an additional six generating units since this morning “unexpectedly”. Once regarded the severest form of load shedding, Stage 4 could mean blackouts with no warning and outside of the usual schedule. The prospect of blackouts with no warning has left South Africans frustrated and many have opted to take this frustration out on Soweto. Some took to Twitter to demand that the township, which owes the power utility billions of rands, be cut off until the debt is settled. Municipal debt reached R17 billion by the end of September last year. Soweto debt, including interest charges, also rose to R17 billion. Eskom’s distressed financial position and rising municipal debt posed a risk to the company’s sustainability, the state-owned entity’s chief financial officer, Calib Cassim, said today. “Rising municipal debt coupled with Eskom’s poor financial and operational performance pose a systemic risk to the sustainability of the company,” he said. Cassim made the comments at the Nersa public hearings dealing with Eskom’s three-year tariff application in Bloemfontein. The comments were then distributed via a press release this evening. Cassim said the ballooning municipal debt together with the rising Soweto debt were no longer just an Eskom problem alone – hence the involvement of an inter-ministerial task team that included the departments of Co-operative Governance and Traditional Affairs, Energy, Public Enterprises, National Treasury, energy regulator Nersa and others. He said the Eskom board had assessed the ability of the group to continue as a going concern and considered a number of mitigating strategies and actions to address the risks identified. Thys Möller, Eskom’s general manager responsible for customer services, said municipal debt rose by 80% in the past 18 months, reaching R17-billion by the end of September 2018. Soweto debt, including interest charges, also rose to R17-billion during the same period. “Municipal debt continues to rise, and this has become unsustainable. Municipal debt is no longer just an Eskom problem, it is a national problem. Eskom continues to participate in the inter-ministerial task team process with a view of finding lasting solutions together with other stakeholders,” said Möller. He said Eskom had to date installed more than 80 000 split prepayment meters in Soweto. Disconnections of defaulting customers would continue, he said. Cassim said Eskom had made every effort to control its operating expenditure but it needed, in addition to the savings, more revenue through price increases and balance sheet support from the shareholder. The application for a 15% tariff increase over three years still didn’t fully cover Eskom’s debt commitments, he said. The department of energy through the electricity pricing policy and government through the government support package indicated that Eskom should have reached a higher tariff level of approximately over R1/kWhr by 2018. This would alleviate some of the significant challenges being faced by the company, said Cassim.